A shocking two-thirds of NHS workers have become ill from stress on the job in the last year, a new staff survey has found. The poll of nearly half a million workers at more than 200 NHS trusts has revealed extremely poor levels of wellbeing and working conditions, with 6 in 10 saying they do unpaid overtime every week and nearly 80 per cent reporting that they felt they had unrealistic time pressures placed on them some or all of the time. A third of NHS staff said they had experienced back pain as a direct result of their work, while almost half of those polled – 46 per cent – said their trust was so short-staffed that they could not do their jobs properly. Nearly a third of respondents said they had been bullied, harassed or abused by a colleague. The pressures of working for an underfunded and short-staffed NHS were so great that more than half of those polled – 51 per cent – said they were considering leaving. Commenting on the findings, shadow health secretary Jon Ashworth said that “years of desperate underfunding, cuts, fragmentation and staff shortages have placed huge pressures on NHS staff, pushing many to feel burnt out and exhausted. Unite national officer for health Colenzo Jarrett-Thorpe agreed. “Soaring levels of stress and the deteriorating wellbeing of NHS staff will only worsen staff shortages already plaguing the health service. Unite members like paramedics, healthcare scientists, pharmacists, clinical psychologists and other NHS workers are doing the best they can with what little resources they have but as this survey shows they are quickly reaching breaking point. 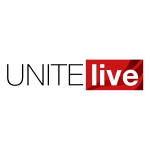 Jarrett-Thorpe pointed to a separate Unite survey of its health membership at the end of last year, which showed that 66 per cent of respondents reported staff shortages in their workplace and departments and 62 per cent of respondents raised safe staffing concerns at work. “Workplace stress is a symptom of the chronic shortages and workforce concerns facing the system,” he said. Unite rep and paramedic Debbie Wilkinson, who has previously been off sick from work-related stress, said that the survey’s findings reflected her own experiences. Debbie says she’s worried that funding for ‘blue light counselling’ which provides counselling services to emergency workers who have to deal with violence and trauma, will be cut from March. Shockingly, another finding in the survey was that one in seven NHS workers said they had been attacked by a patient or a patient’s relative in the last year. This statistic was reflected in separate figures obtained by the BBC that found 3,000 patients in England had been barred from seeing their GP last year. The revelations come as a GP practice in West Yorkshire said that it had given staff self-defence training in response to rising levels of abuse from patients. One nurse who worked at a GP practice told the BBC of her experiences with aggressive patients. As a paramedic, Debbie says that she is lucky that she has only been attacked by patients twice in her career of more than twenty years, but that they both happened recently and in quick succession – again she ultimately attributes this to cuts. “It’s not just cuts to mental health services but cuts in general that have a socioeconomic impact, leading people to develop drug and alcohol problems – and just a certain level of anger and frustration in general,” she said. Debbie welcomed new laws that place higher sanctions on those who assault emergency workers and highlighted too that verbal abuse is much more common than physical violence. Doctors in Unite (DiU) chair Jackie Applebee, who is a GP in Tower Hamlets, London, said that where she works there are special services for violent patients, as there should be at all practices. Applebee said that the need for self-defence classes would be obviated if there were “better resources for looking after patients with difficulties” since many of them will have mental health issues. Jackie echoed Debbie’s belief that cuts are a central problem leading to increasing violence from patients.